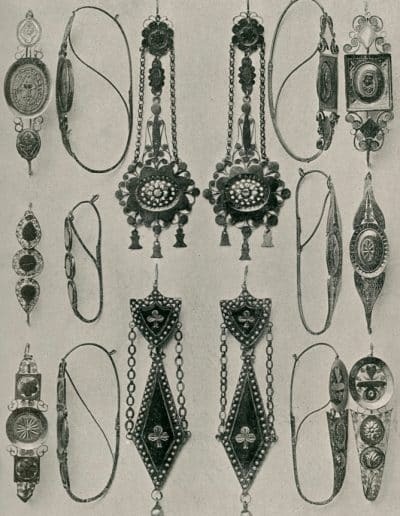 A poissarde (from French: “fishwife”) is a type of earring worn c. 1790-1810 and is of an elongated geometrical design, often with 2 or 3 ornaments below each other and sometimes set with gemstones. 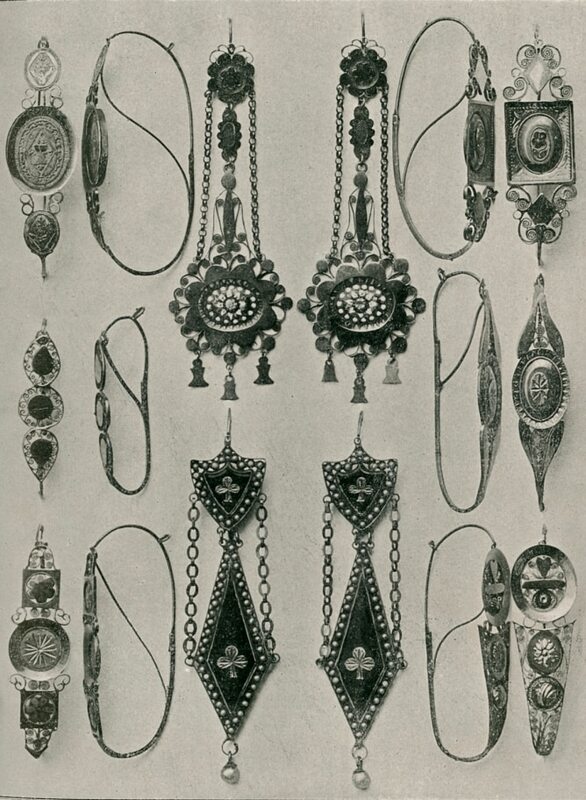 The ear wires had a typical S-shaped fish-hook style cross over and threaded through the ear back to front. The name is derived from the fishwives of Paris who were the first to wear them and who played a significant role during the French Revolution.